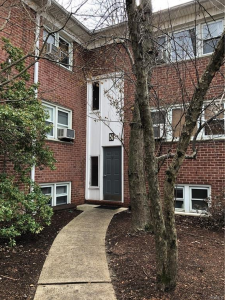 Spacious and open Garden style apartment conveniently located in sought after Irvington, NY. This apartment features a clean, refreshed bathroom right off the bedroom and plenty of closet space throughout. Walk to the train, steps from the Old Croton Aqueduct path and the bus line. Well maintained coop apartment complex surrounded by wooded property with a playground. 40 minute train ride to Grand Central along the Hudson River. Best rental value in Irvington! Listed by Debra Goodwin. 914-591-5600.